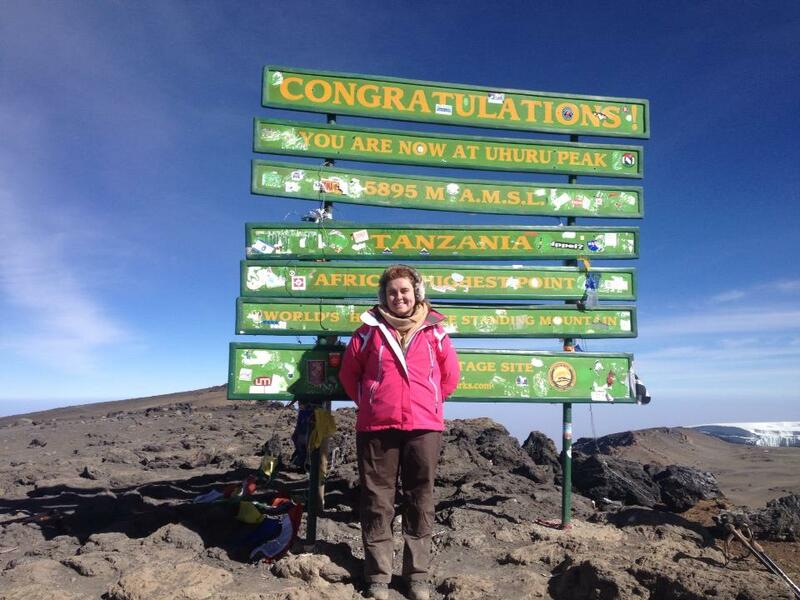 I left the UK to trek up Kilimanjaro on 31st August we started our Trek on the 1st September after the second day of trekking I was already suffering with the altitude and an upset tummy. The weather was great going through the rain canopy and the Alpine desert but it does get colder the higher up you go. I was surprised to already be above the clouds on day 2. I was driven on to continue as we raised £56,000 for Clic Sargent and I felt if these children can endure their illness I can at least get to the top. I continued slowly slowly (the Tanzanian people call it Poly Poly) and with a great group of friends and superb guides giving me encouragement I made it to the summit on the 5th September. I did want to stop at Gilmans point after trekking through the night I was exhausted but Abel, my guide, persuaded me to continue to Uhuru Peak at the very top. I am really pleased I did. I think you trek through the night because if you could see where you were going and the terrain you may drop out sooner. It is covered in volcanic ash and the only way I describe it is like walking on the moon (I have never walked on the moon but imagine it to be the same) A life changing experience. We did also visit an Orphanage that I was very moved by and I have returned home hoping to raise some funds to educate these children and do hope to return to Tanzania next year during my summer holiday.